Philippe Gaubert was one of the great players in the French Flute School of the early 20th century, as well as a noted composer and conductor. He composed a wide variety of instrumental, orchestral and vocal music, and it is not surprising that many of his most effective compositions are for flute. 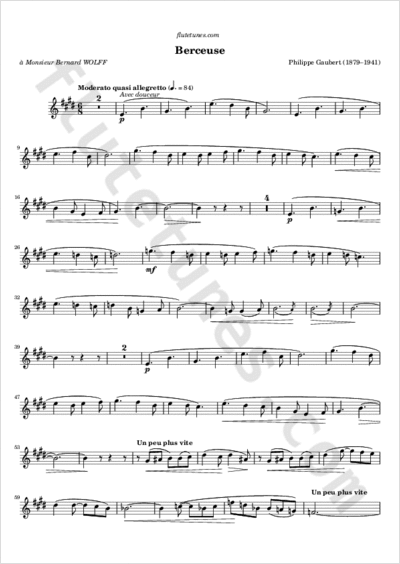 The sweet Berceuse (French for ‛Lullaby’) for flute and piano that we present today was composed in 1907, and is undoubtedly among Gaubert's most popular pieces. Thanks to Paul for suggesting this piece!